One hundred years ago, August Arnold and Robert Richter founded ARRI on September 12, 1917. Download FDTimes’ Special Report as a 24-page PDF – with illustrations. (Best viewed in two-page mode, show cover page). ARRI was founded a century ago by two aspiring cinematographers who saw the value of technology in the pursuit of their dreams. The excellent adventure of August Arnold and Robert Richter reads like a good screenplay. There is a dramatic arc, with competition, conflict, struggle against odds, stumbles, success and celebration. Serendipity helped, along with good business sense. They were involved in all fields of film production—from manufacturing cameras, lights, and lenses to managing post and rentals. Providing the tools to tell those stories is also risky business requiring resilience. The journey can be arduous. Along the way, there’s research, development, design, financing, manufacturing, marketing and distribution. Like the premiere of a film, the outcome is unpredictable. Chasing the flying moments of creativity, there’s fulfillment in both completion of the dream and commendation in successful distribution. As successful merchants of the means to those dreams, ARRI has provided the tools and services of cinema production for one hundred years. 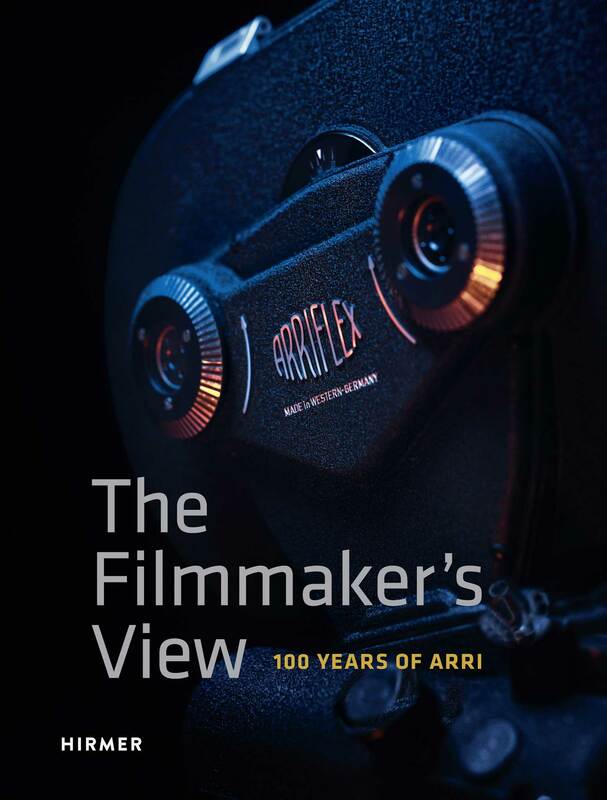 The centennial celebration of the connections between cinematography and ARRI is a story about artists and artisans, technique and technology, creativity and tools. Cinematographers are known for their artistry, aptitude and experience—hopefully as supportive and ever pleasant to work with, even on the eighth week, on the 14th hour of night, exterior, in rain and bitter cold. It’s the same with Cinematographers’ gear—cameras are constant companions, lenses shape character, and lighting is style prompted by notes and sketches in the margins of a script. Collecting ephemeral images inside a dark box is an intertwined intersection of art and machine. Making these machines is also an art—and it is a remarkable achievement for one family-owned enterprise to have successfully engaged in that pursuit for a hundred years. ARRI is among a handful of companies founded at the birth of cinema that continue to this day: Carl Zeiss (ZEISS) 1846, Ernst Leitz (Leica) 1849, Taylor Hobson (Cooke) 1886, Kodak 1888, Éclair 1907, Vinten 1910 and Paramount 1914. Panasonic, Nikon and Gitzo are also celebrating their centennial this year. ARRI’s longevity might best be explained as a confluence of technique and technology with added ingredients of talent, tenacity and transition. Actually, Haskell Wexler, ASC had a catchier alliterative aphorism about the longevity of his illustrious career: “Cameras, Cars and Chicks.” Clearly there are many muses inspiring artists who make moving pictures and the artisans who make the devices that enable those pictures to move. August Arnold was born on September 12, 1898, son of an Austrian arborist. Robert Richter was born a year later in Nuremberg to a wealthy family that owned the household fixture company of Richter+Frenzel (founded in 1895 and still running today). The boys met as classmates in 1913 at the Oscar-von-Miller-Gymnasium in Munich. Their hobbies were movies and mechanical things. Christmas came with a motorized lathe, which was soon put to good use. By modifying an old slide projector, adding an electric motor and arc lamp, they were able to watch discarded newsreels and short film clips. A couple of years later, still in school, the two aspiring cinematographers bought a Gaumont hand-cranked camera. When not in class, they worked as camera assistants and also as cameramen covering the news. The boys often scooped stories by racing around on their bicycles to get more angles than their competitors. Perhaps the technology of bicycles enabled the mobility of their technique. On September 12, 1917, August Arnold and Robert Richter founded ARRI in a small shop on Tuerkenstrasse in Munich to satisfy an eclectic assortment of interests as announced on their business cards: “Fine mechanics, electrical devices, arc lamps, film apparatus, film printers, camera operating and projection.” Their first commercial products were movie lights and film printing machines. In the beginning, the boys were not even old enough to legally sign their business documents. One hundred years later, the company they started is still located at same address, now much larger, with 1,400 employees worldwide. It’s interesting to look at the history of a company through the prism of history and the context of events, artistic trends and industrial influence. By the time Arnold and Richter set up their first shop on Tuerkenstrasse, cinema had been flourishing for 22 years. About 740 km southeast of Munich, the Lumière family of Lyon was second only to Kodak, manufacturing about 15 million glass plates a year for still photography. The story goes that Antoine Lumière returned home one day after seeing an Edison Kinetoscope peepshow and told his sons Louis and Auguste, “You can do better. Try to get that image out of the box.” They did. It was 1885. Auguste and Louis built their own camera: the small, light, portable Cinématograph that combined the tasks of shooting, printing and projecting. The Cinématographe used 35mm film transported by an intermittent movement inspired by sewing machines that were widely manufactured in their native city of Lyon. We often think of inventions as arriving spontaneously, but the reality is more like a thick cloud of converging talent and knowledge, commercializing a technology that was emerging in the currents of concurrent global arenas. The history of the movies has been a chicken and egg confabulation since the beginning. Does the idea come first and then you look for the equipment to get the shot? Or is it the other way around—an innovative new piece of gear inspires a new way to tell the story? Actually, it’s both, and technique is totally intertwined with technology. Most of it is about streamlining the steps from script to screen: lighter, smaller, faster, brighter, more ergonomic. There are waypoints of brilliance. Lumière wanted to project moving images on a screen. Méliès dreamed of special effects to enchant an audience. Akeley needed to film with long lenses on safari. Coutant believed that cameras deserved to rest on shoulders. And the founders of ARRI set off on a cinematic path of eclectic invention to support a hobby that became a successful business. There’s along list of inventors on the brink of cinema: Le Prince, Marey, Friese-Greene, Muybridge, Demeny, Skladanowsky, Latham, Jenkins, Armat, Acres, Rudge, Edison and many more. It is very similar to asking, “Who invented the search engine or social networking?” Louis and Auguste Lumière were in the right place (Lyon, 300 talented workers, vast resources) at the right time (Impressionism, Post-Impressionism and Photography). They were the first in France to successfully implement a marketable technique from the nascent technology. On December 28, 1895, they projected ten short films on a screen in the Salon Indien, a billiard room in the Grand Café at the corner of Rue Scribe and Boulevard des Capucines in Paris. The show cost 1 Franc per person. It was not an immediate success. Only 33 people arrived. However, word spread quickly, and soon more than 2,500 tickets were sold each subsequent day. The Lumière films were short documentaries with roots in the subjects and style of Impressionism: workers leaving the factory, a train arriving in a station, a family dining together, street scenes of Paris. Pierre-Auguste Renoir said, “Without paint in tubes there would have been nothing of what the journalists were later to call Impressionists.” These concepts were not lost on the Lumières in 1895. Cameras could be as portable as an Impressionist’s easel, but Louis and Auguste astutely realized that exhibiting films to large audiences could be even more lucrative than just manufacturing cameras. They built 425 Cinématographe cameras and trained camera operators to photograph, process and project. From 1896 to 1905, more than 1400 Lumière films of 50 seconds were shot and projected on locations around the world. It was the inception of a new experience that would introduce universal ideas to even more people than ever before, the democratization and globalization of an art form that would be seen by the largest audiences in history, and would change the world. Long before punchy Variety headlines, an early film critic wrote, “Someone went somewhere and saw something and brought it back for us to look at.” This was the world in which August Arnold and Robert Richter grew up as youngsters. Like the Lumières, their instinctive proclivity to get involved in all facets of cinema, not just building cameras or being cameramen, most likely helped in their success. Back in the US, Thomas Edison was filing numerous patents. Never mind that his first camera, the Black Maria, required a studio the size of a house that rotated on tracks to film static scenes of sneezes, magicians, politicians, dancers, and scantily-clad women. The Edison Manufacturing Company and later the Motion Picture Patents Company sued or threatened domestic competitors. The result was quite the opposite. Independent production flourished. Two thirds of the films exhibited in the US came from Europe, along with camera equipment that was lighter, smaller, faster, and cheaper. The migration of East Coast independent producers to Hollywood beginning in 1908 was not only for the sunshine; it was a long way from Edison’s headquarters in New Jersey. A panoply of cameras followed as filmmakers experimented with various mechanisms, movements, bodies and lenses from Mélies, Acres, Darling, Urban, Pathé, Prestwich, Moy & Bastie, Gaumont, Démény, Akeley, Debrie, and Ernemann. Most were hand-cranked and sat on tripods. The Aeroscope was invented by Kazimierz Prószyński in 1909 and built by Newman & Sinclair and Cherry Kearton Limited in the UK. The Aeroscope was powered by a pump similar to the ones that pumped up bicycle tires. Pressurized air could run the camera up to 10 minutes. This freed the camera operator from cranking, so one hand could adjust focus and iris, while the other hand could hold the camera. As a result, the Aeroscope became one of the first handheld cine cameras. It was used extensively for aerials and by combat and newsreel cameramen. Most cine cameras had bodies made of wood and leather or steel. They often rotted or rusted. Then, in 1912, Donald Bell and Albert Howell built their famous Bell & Howell 2709 B out of aluminum. It withstood weather in the tropics and heavy use in studios. Next, Mitchell Camera Corporation patented their variable shutter, rackover Mitchell Standard in 1920. Both cameras became the stalwarts of many Hollywood productions for years to come. From the beginning, there were differences between US and European productions in terms of equipment and technique. Budgets in the US were bigger than European productions. Therefore, large studio cameras in the US could be supported by rugged dollies and large cranes and managed by larger crews. The Hollywood studio system influenced a style of its own that would endure for years to come, while in Europe, smaller budgets generally engendered a leaner production style with smaller crews and more compact equipment. Two years after the founding of ARRI, Austin Lescarboura wrote Behind the Motion Picture Screen (1919, Scientific American Publishing Company). His words resonate today. “Motion pictures became popular when the cameraman became acquainted with his work. And so it came to pass that the entire future of the industry was placed in the hands of the cameraman. The cameraman was not alone in his labors…there were the film manufacturer, the laboratory chemists and the cinematograph engineers who turned their efforts to the end of evolving better cameras. Finally, optical experts, wishing again to prove their battle cry that ‘It’s all in the lens,’ contributed their quota.” Sounds familiar. And then—remember, this was 1919—“The fact is that the average good cameraman is an artist; but instead of pigments and brushes he relies on various mechanical contraptions designed and constructed during odd moments. Now, if ever there was an ingenious individual it is the expert cameraman; for starting out with the camera as turned over to him by the motion-picture engineers, he has forever been busy improving its mechanism and developing any number of accessories.” As Bill Bennett, ASC said a century later, “Never accept the camera as the manufacturer intended.” It seems that most cinematographers are afflicted with a condition whimsically known as Retrofit Syndrome. Meanwhile, back in Munich, Arnold and Richter were similarly afflicted, busy building printing machines, lighting equipment, renting out their own cameras in between jobs to colleagues—pretty much the same things ARRI still does today. They also shot and acted in early German Westerns with lugubrious titles like Vengeance in the Valley of Gold and Deadly Cowboys in the nearby Bavarian forests. In 1924, they built their first camera, the KINARRI 35. It had a pancake body shape like the Akeley, handcranked with 100’ loads. Next came the KINARRI Model II Tropic, with an adjustable rotary shutter and a daylight film magazine. These were basically intended for the proliferating 35mm amateur market. Richter was convinced that 16mm would be more suitable for home movies, and the KINARRI 16 followed soon after. Robert Richter visited America in 1925, selling ARRI equipment, working as a waiter at the Commodore Hotel in New York, at the Hollywood labs of Fox and Lasky, and then as a camera assistant at Universal. He could not have avoided noticing how the Hollywood studio system encouraged much bigger and heavier cameras and undoubtedly influenced ARRI camera designs in the years ahead. His observations undoubtedly influenced ARRI camera designs after Richter returned to Munich, enrolled at the Munich Technological University and received a degree in engineering. Back in Hollywood, Mitchell built their first BNC (“Blimped Newsreel Camera”) in 1932. It was hardly a newsreel camera. At 120 lb, it was a gigantic silent camera intended for feature production, and it was not an immediate success. The first two BNCs were sold to Samuel Goldwyn Productions in 1934 and 1935. Gregg Toland, ASC used BNCs to shoot Wuthering Heights (1939) and Orson Welles’ Citizen Kane (1941). In an era when the longevity of a camera was often longer than the career of its camera operators, the BNC became the industry standard on Hollywood productions for the next half century. Technicolor’s first 3-strip camera was also introduced in 1932. Built by Mitchell, it exposed three strips of black and white film that would then be printed onto a special matrix. Because of the longer distance required from lens mount to film plane to accommodate a prism, filters and three paths of motion picture film, new “inverted telephoto” lenses were required, and these were mostly modified Cooke Speed Panchro lenses. In France, André Debrie developed the Super Parvo the same year. Like the BNC, it was big, heavy, and silent. The fact that it was less expensive assured the Super Parvo’s success on European feature productions until the 1960s. ARRI’s big breakthrough in camera design was the introduction of the first spinning mirror reflex camera as a prototype in 1936 and as a production-ready product at the 1937 Leipzig Fair. The idea for a reflex viewing system had been patented by Anton Aretz in 1913 in Germany, but ARRI was the first company to provide it in a practical, commercial product. It was a breakthrough, revolutionary design. The Arriflex 35 had a WYSIWIG image: what you saw on the groundglass was identical to the image captured on film, parallax free, and able to show whether the shot was in or out of focus. The camera was lightweight, small, and rugged. It weighed 13.5 lb (6.1 kg). Erich Kaestner was the chief design engineer. He had joined ARRI at age 21 in 1933. From this point on, writers were obliged to distinguish between ARRI the company and Arriflex—their cameras with reflex viewing via spinning mirror shutters. Austin Lescarboura’s hope that motion pictures would encourage “the reunion of all nations” was shattered by the horror of yet another war, and many miles of celluloid once again depicted battles, the work of gun and shell makers, and cinematographers once again became combat cameramen during World War II. German combat cameramen used Arriflex 35 cameras. The Americans had Bell & Howell Eyemos. The first Arriflex 35s came to America as captured cameras via the US Army Pictorial Center in Queens, New York. Word of the spinning mirror and reflex viewing spread. ARRI’s factory in Munich was totally destroyed by Allied bombs in 1944, but manufacturing had been moved to the Bavarian countryside several years earlier. The next generation Arriflex 35II went into production in 1946. It gained attention in the US for handheld, MOS, documentary and POV shots. Arriflex 35II cameras worked extensively on Louisiana Story (1948), directed by Robert Flaherty with cinematography by Richard Leacock, who later became one of the documentary style pioneers of Direct Cinema and Cinéma Vérité. More than 17,000 ARRI 35 cameras (and their variants: IIA, IIB, IIC) were sold through 1979—when it was replaced by the Arriflex 35-3. ARRI 35 cameras were especially popular on European feature productions that valued light weight, quick setup, smaller crews and where post-dubbing was common. Tonino Delli Colli, AIC shot The Good, the Bad and the Ugly (1966), starring Clint Eastwood, with an Arriflex 35IICT/B Techniscope 2-perf (2.35:1 aspect ratio) camera. It used half as much film as 4-perf anamorophic, reducing costs and increasing time between reloads. The Arriflex 35II camera was not without competition. On the outskirts of Paris at the Éclair Company, André Coutant and Jacques Mathot designed the Caméflex in 1947. It also had a mirror shutter. The novel idea was a pivoting viewfinder near the front of the camera that helped its balance in an ergonomic hybrid of handheld and shoulder operation. It had quick-change film magazines that reduced down time during reloads. In 1951, ARRI appointed Paul Klingenstein and Kling Photo in New York to be their exclusive importer for the US. But it was still like the Wild West, with various independent agents, including a drugstore in Atlanta, selling ARRI cameras. Television news and documentaries were increasingly shot in 16mm. The Arriflex 16St (16S) was introduced in 1952, based on the same spinning mirror shutter concept as the 35II. It took 100’ spools that could be loaded in daylight, much like the Bell & Howell Filmo, and also accepted 400’ magazines. The 16St was followed by the 16M (magazine only, no daylight spools). This was an era when the camera seemed almost permanently welded to the tripod, even for documentaries. There are iconic photos of cameraman-climber Herbert Raditschnig clinging to a sheer Alpine rock face with tripod and camera dangling from a bunch of ropes and ladders. Occasionally one went handheld, in the true sense of that word. Like the 35II, the eyepiece was in the back, the weight of the camera supported by hand and balanced with a backward-leaning arched back. Cinematographers asked for a more comfortable way to support the camera by distributing the camera’s weight on the shoulder. But that would take a few more years. In 1955, Dr. Guido Cartoni, an Italian mechanical engineer who had designed the Cartoni Gyro head, met with Arnold and Richter and subsequently started manufacturing several thousand heads under the ARRI brand name. These heads came in two size: the “M” model for 35mm Cameras and the “L” model for smaller 16mm Cameras. Both were available with fine, hand-made wooden tripods and spreaders. A long collaboration with ARRI followed. Cartoni was appointed the ARRI agent for Italy and distributed the Arriflex cameras to RAI, Cinecittà Studios and international productions shot in Italy from 1957 to 1975. In 1972, Cartoni designed the FL4 fluid head for ARRI. Dr. Guido Cartoni passed away in Rome last year at age 96, a year after celebrating the 80th anniversary of the company founded by his father, cameraman Renato Cartoni, in 1935. Guido’s daughter Elisabetta continues as the company’s CEO. 1956 saw the first Angenieux 16mm zoom: a 17-68mm f/2.2. Bernard Angénieux explained, “The idea was to have one lens that could replace the 3 prime lenses (wide, medium and tight) commonly used in the turrets of 16mm amateur cameras.” The professional world quickly took notice, as it often does. 35mm cameras also and in 1959, Roger Fellous used a prototype of Angenieux’s first 35mm format 35-140 f/3.5 zoom on Les Affreux. Additional Angénieux zooms quickly followed: the 16mm format documentary darling 12-120 f/2.2 in 1961 and the revolutionary 35mm format 25-250 f/3.2 in 1962. It was a technical breakthrough that influenced the style of films for the next 23 years on features and commercials. The new zoom lenses were an excellent match for cameras with reflex viewing and spinning mirror shutters that provided the operator with continuous, real-time, through-the-lens viewing. The zoom lens saved time and offered more variety of focal lengths. The trade-off was a slower maximum aperture, sometimes softer image, and an abundance of gratuitous snap/swish pan/zoom moves. 16mm sync sound shooting got a boost in 1960 with the Éclair NPR (Noiseless Portable Reflex), another breakthrough designed André Coutant. Like his Cameflex, the NPR was a not-totally shoulder-resting documentary style camera with a pivoting viewfinder near the front. This chapter in camera history doesn’t end well. Éclair’s next camera was the ACL (named after its designers) in 1971. The company was then purchased by Harry Saltzman, producer of James Bond films, and Éclair staggered along with simultaneous manufacturing facilities in England and France until its demise in 1986. The ACL was a staple of ABC Sports, 60 Minutes, American Adventure and documentaries: light, sometimes quiet, a bit quirky, not always reliable, but a good camera if you took care of it. The Arriflex 16BL was thoroughly reliable when it came to compete in 16mm sync sound documentary and industrial film production in 1965. It was ARRI’s first silent camera. Like most ARRIs, it kept on working even under the most inhospitable conditions and hostile locations. Combat cameraman Joe Longo once joked that you could hammer nails with a 16BL. ARRI made a few tentative steps in ergonomic design by moving the swiveling eyepiece further forward on the side of the self-blimped body for better balance. It was not a comfortable camera to hold, but certainly was an improvement over news and corporate industry standard Auricons which were heavy, boxy and lacked viewfinders. Competition from the ergonomic Éclair NPR and ACL was mitigated by ARRI’s growing reputation for reliability and service worldwide. By this time, more than 1,300 employees worked at ARRI around Munich—running the film labs, building cameras, lighting, processing and printing equipment. The workforce in Munich was well-educated and skilled. Labor was relatively cheap and the exchange rate of 4.25 DM to the dollar made ARRI cameras attractive. Munich was, and still is, an epicenter of fine mechanics and precision engineering—partly due to a rigorous apprenticeship program. The first task of an aspiring ARRI apprentice was to file, by hand, a piece of steel into a perfect cube. This took about 6 weeks. Each of the 17 apprentices were graded according to the perfection of their square angles. Next, the apprentices had to cut a triangular opening in one piece of metal, and a corresponding triangular solid from another piece. The closer they fit together, the better was deemed that person’s potential for success at ARRI. However, a large number of superb technicians, mechanics and apprentices dreamed of sunshine and, if not Hollywood, camera facilities in the US. One of these apprentices was Volker Bahnemann. In 1962, Volker arrived at Kling Photo as a camera service technician. He became Service Manager and rose through the ranks until he was promoted to VP of Marketing for ARRI’s expanding product line in 1971. Some of the well-known names working with Volker at Arriflex Company at the time were Juergen Schwinzer, Wolfie Schmidt, Wolfgang Roessel, Anton Wilson (who founded Anton/Bauer), Paul Wildum (who started Cine 60), and Alfred Chrosziel (designer and head of Chrosziel Company). Volker was key to ARRI’s success in the US, then the largest market in the world. In 1974, he became the youngest associate member of the American Society of Cinematographers. The same year, he was named President of Arriflex Company, which Paul Klingenstein had sold to Berkey Photo Inc—a large photographic product marketing company listed on the New York stock exchange. Their Burbank office opened in 1977. In 1978, Volker separated from Berkey Photo and established the new Arriflex Corporation as the first subsidiary of Arnold & Richter outside of Germany. In 1986, to improve the quality and service of rental houses in New York, Volker guided ARRI’s acquisition of Camera Service Center in New York. So in a single week, I got married, bought an apartment, went freelance, and bought my first Arriflex camera. In the ensuing years, I bought pretty much every camera that ARRI came out with. I had a degree in Art History but always wanted to learn how things worked. At that time, the cameras came with basically no instruction manuals, unless you spoke really good German, and my German was limited to a couple of foreign study terms in Switzerland. I wrote notes to myself and our crew as to how we could use the cameras. Those notes eventually led to my first book, The 16SR Book, and I went on to write a book for every camera that I owned. Throughout my career, and I mostly did commercials, style was heavily influenced by the equipment. We would dream up incredible shots and it got to the point where if you could imagine something you could almost shoot it, and some years later you could shoot it. And that was made possible by the equipment. Over the years, Volker and I worked on a number of film projects together. The most fun was a massive two-year production called Cinematographer Style, in which we interviewed 110 cinematographers around the world. Volker built relationships with many cinematographers, assistants, and camera crews. In 48 years at ARRI Inc, he exerted a huge influence on the designers and engineers in Munich, initiating the development of new products to meet or anticipate industry demand, especially in the US and Hollywood. Volker was responsible for the initiation, development and refinement of the Arriflex 35-3, Arriflex 765, Arriflex 435, Arriflex 235 camera, ARRI/ZEISS Super Speed lenses and Variable Prime lenses. Volker stepped away from his CEO position in 2010, only to get back on board as a member of the ARRI Board of Directors in 2013. At that same time that Volker arrived in New York in 1962, a young Austrian who had studied mechanical and optical engineering landed in LA. He had two ambitions: to become a cameraman and to drive on California Highway 1. He was told that to become a cameraman, he should apprentice at Panavision, where many other Austrian, German and Swiss technicians worked. Otto Nemenz started at Panavision cleaning filters for $2 an hour, graduated to George Kramer’s anamorphic department and then worked on Panavized ARRI 2C cameras. Two years later, 1964, Robert Gottschalk decided to begin work began on new sets of spherical lenses and a quiet studio camera. The Panavision Silent Reflex (PSR, R200) camera came in 1967. Based on the classic Mitchell movement, it was slightly lighter, but still very heavy, had a reflex viewfinder and was intended for traditional Hollywood-style studio production. Stanley Kubrick used a PSR camera on 2001: A Space Odyssey (1968). Next came Easy Rider (1969), shot by László Kovács, ASC with Vilmos Zsigmond’s personal ARRI 35IIC. Its exuberant, documentary, handheld, flared-lens, new-wave style triggered the New Hollywood era of filmmaking in the early 1970s. This American New Wave was enabled by the technology of the cameras that created the spontaneous style—but economics decided where the industry was heading next. Easy Rider was the third highest grossing film of 1969. With a low budget around $360,000, it made $60 million worldwide. If you were a Hollywood mogul, you saw dollar signs in the future of low-budget, independent productions. If you were a camera manufacturer, you would be scrambling to outfit cinematographers with the tools to shoot those new movies. The next decade, the 1970s, got interesting as this technique evolved, technology accelerated and new cameras and equipment came out at a prodigious pace. New technical things came in 1972 with ARRI’s important launch of the Arriflex 35BL. It was ARRI’s first silent 35mm production camera. It rested comfortably on the camera operator’s shoulder. The idea for the camera came from Paul Klingenstein and Volker Bahnemann in the US, and it was designed by Joachim Gerb and Erich Kaestner. At 33 lb, and around 33 dB, it was light, small and portable. Launched at the 1972 Munich Summer Olympic Games, at first it appeared to be intended as a 35mm silent newsreel and sports camera with the ability to toggle between sync sound and a top speed of 100 fps for slow motion. Of course, it could do much more than that. The 35BL subsequently worked on major features, including Taxi Driver (1976, Michael Chapman, ASC), Apocalypse Now (1979, Vittorio Storaro, ASC, AIC) The Shining (1980, John Alcott, ASC, BSC), Fanny and Alexander (1982, Sven Nykvist, ASC) and many more. Iterations of the 35BL followed. In 1975, the 35BL-2 was quieter and its with top speed was reduced to 50 fps. The big breakthrough was the 35BL-3 in 1980. A collective cheer was heard from cinematographers and camera assistants: it had a new PL mount, quieter operation, and no longer required a lens blimp for silent shooting. Otto Blaschek was the project manager in charge. He had joined ARRI in 1947 under Kaestner and worked on the 16ST, 16BL, ARRITECHNO, 35BL 3, 35 III, and 765. The Arriflex 35BL-4 arrived in 1986 (brighter, better viewfinder) and 35BL-4s in 1988 (new, quieter movement). Few factors differentiate the style and look of a movie than the head and devices to move and support the camera. Almendros was right. The Geared Head was a fixture of the Anglo-American studio style of production. Few self-respecting camera operators on big features would suffer the scorn of fellow crew members by using anything but a massive geared head. German, French and Scandinavian crews often were so small, the entire entourage, including actors and equipment, could often travel in one VW Minibus. They shot with fluid heads. ARRI noticed the discrepancy, and also the fact that Panavision dominated the high-end market with their Panahead. ARRI’s Otto Blaschek designed their first ARRIHEAD. Another young student at the Centro Sperimentale di Cinematografia at that time was Vittorio Storaro. He would also comment about his journey: “After Apocalypse Now, I felt I needed to know color theory in a more conscious way. I believe it’s very important to stop and think, to do research, to experiment, to study and understand why we’ve done everything the way we’ve done it. We need to understand the meaning of what we’re doing and try to go as deep as we can into our creativity. After one year of research and study, I was able to go directly into another world of color. “Earlier, I remember doing The Spider’s Stratagem (1970), which was the first film with Bernardo Bertolucci as cinematographer. I had one day of shooting when I started to worry that the exposure was not right, the filter was not correct, the shot was not in focus, and that everything else was not precisely the way I wanted it to be. It was 24 hours of a living nightmare. Marilù Parolini, the writer on the movie, said to me, ‘Vittorio, in photography and cinematography, we have to deal with the mystery of the system itself. If we lose this link between ourselves and the creativity, we are lost. We need to keep the incredible love for what we’re doing.’ When we start to be in doubt and don’t have the strength to experiment and go beyond the limits of the technology we already know, we become trapped. And if we’re trapped, then our fantasy, freedom and intelligence become locked. If we’re locked, we can’t do cinematography. In 1972, the same year that ARRI presented the 35BL, Panavision introduced the Panaflex 35. Its weight and size were comparable. There were several differences in design and philosophy. The Arriflex BL’s had a solid, mechanical connection between the lens mount, camera movement and film gate. It was solid and did not expand, contract or change flange focal depth when temperatures varied. 35BL cameras were noisier and often required sound barnies to deaden the din. The Panaflex approach was to reduce noise by separating the mount from the gate with a noise-isolating, but flexible, material. An often-heard command on cold, wintry New York locations was “Hey Moe (2nd Assistant), check the depth—and out would come depth gauge and adjustment tools. These were minor differences that did not affect style very much. Like the 35BL, the Panaflex was the basis of updates for many years: Panaflex Gold in 1976 and Platinum in 1987. The Panavision Millenium in 1997 reduced weight even further—to about 17 lb. Pete Abel, President and CEO of AbelCine, recalled, “Aaton was the rebel innovator of the day: in-camera time code, video assist, Super 16—they really were out there, pushing technology in order to give doc filmmakers greater intimacy with their subjects. There was a certain personality type among the early Aaton adopters, like Al Maysles, Ricky Leacock, D.A. Pennebaker, Haskell Wexler. They were innovators in their own right, constantly modifying their tools, and quite willing to deal with how informal the whole relationship was with Aaton and the folks like us that supported them. They believed in Jean-Pierre Beauviala’s approach to design, because, at heart, JP was an independent filmmaker just like them. He created the Aaton 7LTR for himself and his friends. It was all about the craft, all the time. 1975 was another exceptional year. This was the time when almost every 16mm cinematographer who didn’t own an Aaton or Eclair got to see a silent, ergonomic, shoulder-resting, coaxial magazine camera from ARRI: the Arriflex 16SR. Its designer was Erich Kaestner, the same man behind the spinning mirror shutter and the Arriflex 35. Kaestner was a genius, stubborn, unaccustomed to advice from DPs, and horrified when he saw them using his cameras in ways he did not intend. He imagined the 16SR (Silent Reflex) as a documentary and newsreel 16mm film camera so lightweight and portable that it could fit inside a custom metal and leather executive style attaché case that any well-dressed DP would be proud to carry onboard and slide under the seat in front. That’s why the eyepiece swiveled into an upright position. Kaestner also designed the camera to be symmetrical, under the correct assumption that not everyone was right handed, right eyed and right shouldered. The camera worked on every imaginable production, from docs and news to commercials and features, and became one of ARRI’s best selling cameras of all time. The 16SR had an ARRI bayonet mount and quick-change coaxial magazines. The Arriflex 16SR-2 came out in 1982 with a quieter movement, 16SR-3 in 1992 offered Super 16 format and a PL mount, and the 16SR-3 Advance introduced a brighter viewfinder, Arriglow, and color video assist. Kaestner had an influential career at the company designing the Arriflex 35, 16S, 16BL, 16SR, 35BL, 35-3 and many other cameras. On Stanley Kubrick’s Barry Lyndon, perhaps even more impressive than cameras were the lenses that enabled filming in dark Irish castles by candlelight alone. Kubrick bought a ZEISS Planar 50mm f/0.7 lens originally intended for NASA to photograph the “dark” side of the moon on the Apollo lunar missions. Cinema Products Corp in Los Angeles modified the still lenses for cine along with Kubrick’s Mitchell BNC (since the rear element came within 4mm of the film plane). The Super Speed lenses that Ed DiGiulio mentions were a progression of ARRI’s long, 70-year relationship of working with ZEISS. The original Arriflex 35 and Arriflex 35II had rotating turrets that held 3 lenses. The camera operator usually pulled focus on Euro-style and news/doc productions, and the lenses had butterfly tabs to grab—not geared rings. The original Arriflex mounts were standard “push in to lock,” followed by “twist to lock” bayonet, and then PL in 1983. For many Arriflex camera users, ZEISS “Standards” were the benchmarks. They were about the size of a tennis ball. You could carry an entire set in your backpack. Panvision lenses were typically shipped one lens to a case. By the time 35BL cameras arrived in 1972, the mounts were bayonet, and it’s been said that the secret to the success of the 35BL as a lightweight, location camera were the ARRI/ZEISS Super Speed lenses introduced in 1975. To use these lenses, you needed a bayonet mount, which was basically unique to ARRI. With a maximum aperture of T1.4 (later T1.3), the Super Speeds enabled movies to be shot at night, on location, with practical lights and available street lights. City streets no longer had to be lit with big lights on giant Condor cranes. The combination of cameras and Super Speeds enabled a new, low light location style of filming. Screenwriters could now type “EXT. CAR CHASE – NIGHT and the crew could be mobile and move almost anywhere. ARRI/ZEISS Super Speeds were unique because each lens was designed to perform best at wide open aperture. The first set was used on Taxi Driver (1975). Super Speeds were revolutionary for shooting in low light, and wise cinematographers were quick to point out the operative word being “low light”— and not “no light” Artful lighting was not threatened by low light lenses or faster film stocks, despite producers’ wishes to the contrary. Another significant piece of technology to influence technique came in 1976. Jean-Marie Lavalou and Alain Masseron invented the Louma crane with remote head. The camera was truly liberated and could swoop into tight places that big, bulky cranes could not enter. A few months later in 1976, Denny and Terry Clairmont founded Clairmont Camera. They had grown up within walking distance of Clairmont Camera’s current home on Lankershim Boulevard. Their father, Leonard, was a cameraman, and naturally they worked as child actors and extras on more than 50 movies each. The boys were like characters in some of those period films, tearing along Ventura Boulevard in their souped-up “kandy-kolored streamline babies.” One of Denny and Terry’s first enterprises was Fiasco Automotive, a hot rod and drag racing speed shop. In the late 1960s, Terry worked as a camera assistant. In the ‘70s, he was staff cinematographer at N. Lee Lacy, proving ground for many talented commercial directors and DPs. Denny was also working as a cameraman on commercials and documentaries. He developed a vast knowledge of cameras and lenses. Clairmont Camera seemed to be a natural progression from the early Fiasco Automotive days. Denny never saw a camera he couldn’t improve, retrofit, modify, make lighter, smaller, brighter, faster or better—often in ways the manufacturer intended. Otto Nemenz also founded his company, Otto Nemenz International, in 1976, working out of the trunk of his Mercedes and garage to rent his personal Arriflex 35II and 16S cameras to colleagues. Three years later, he opened a small shop at 7531 Sunset Boulevard with two employees, Monica Kresser and Alex Wengert. By that time, Otto had acquired 10 cameras and was their best customer, using the equipment on jobs he was shooting as a cameraman. In 1983, Otto and Monica married. Shortly after, the company moved into new facilities at 870 North Vine Street. They are still there today, Alex is still General Manager and 40 employees now attend to the rental of more than 150 camera packages. In 1986, and a young engineer named Walter Trauninger, working in Vienna, joined ARRI Austria with seven other employees to work on R&D. Walter was hired as one of the mechanical design engineers for a new 65 mm film camera, the Arriflex 765. Filmmakers had been interested in larger formats from the moment Edison and Eastman standardized the 35mm 18x24mm frame. The Cinémathèque in Paris has in its collection a 65mm camera from 1896 and a Lumière 75mm camera of 1899. The Arriflex 765 arrived 90 years later—in 1989. It was silent, sync sound, 2 – 100 fps, with an adjustable, motorized mirror shutter, and a separate motor for mirror shutter and camera movement, synchronized electronically to reduce noise, something unheard of at the time. This principal would be used in the next cameras, the Arriflex 535 in 1990 and 435 in 1995. Walter went on to develop and project manage the 435, Arricam ST and LT, 235 and 416. Success is not assured for every endeavor. ARRI’s 535 camera in 1990 was a disappointment. Some were sold to rental houses and DPs in the US. The small owners’ club included Jim Jannard, a filmmaker, camera aficionado and head of Oakley who shot his own commercials and would go on to found RED. Technically, the 535 was a marvel, with an adjustable viewfinder system for spherical, anamorphic, 100% optical or fractional video assist viewing. But crews found it big, bulky and heavy. ARRI quickly went back to the design table, and released the lighter, smaller and more practical 535B in 1992. Vittorio Storaro, AIC, ASC didn’t mind. In 1993, he shot Little Buddha with Bernardo Bertolucci using an Arriflex 535 an Arriflex 765 65mm cameras. Roger Deakins, ASC, BSC liked the 535 camera and its coaxial magazine that he could tuck under his arm while operating on a fluid head. He commented, “Technique forces technology, not the other way around. It would be interesting to work that out— what comes first: the ambition or technology? People’s ambitions for the way films can be made and the quality of the work are forever expanding, and that forces technology in new directions. “Does equipment influence my style? Yes. On a film like A Beautiful Mind, where we wanted a certain fluidity and ability to move with the actors, I wanted to be able to adapt quickly, so I used a remote head because it gave me an amazing flexibility. I started to use that technique on Barton Fink as well, because there was a specific shot that directors Joel and Ethan Coen wanted to start under a bed in a room, then track across the room, come up over the bathroom sink and go down into a plughole. With the space restrictions, the only way to do that was with a certain remote head with a short Fisher arm, so we manufactured a new cog for a short-focus 40mm, and the thing had to go around three times to change focus to get into the plughole. Meanwhile, at AVID, Michael Phillips was working on connecting the Arriflex 535 video tap output to a non-linear editor. Nicknamed “Albatross” because it was ungainly and its enormous hard drive arrays sounded like airplane engines revving up, this early Mac-based AVID Media Composer nevertheless set the stage for on-set editing and near-set dailies that would come two decades later. Computers came to film sets in 1991 after Apple released the first Macintosh PowerBook laptops that October. Marc Shipman-Mueller was a recent CalArts graduate working at Sam Nicholson’s Stargate Studios. Marc designed a program to control the 535A (and later 535B, 435 and 16SR 3) from a Mac PowerBook. His Laptop Camera Controller (LCC) was an elegant alternative for controlling frame rate, speed ramps and collecting camera report information. Marc went on to join ARRI and became Product Manager for ARRICAM, 235, ALEXA, Master Primes, Ultra Prime 8R, Alura zooms and Master Anamorphics. Years later, Forbes wrote, “There are few corporate blunders as staggering as Kodak’s missed opportunities in digital photography, a technology that it invented. This strategic failure was the direct cause of Kodak’s decades-long decline as digital photography destroyed its film-based business model.” And The Economist had this to say: “Strange to recall, Kodak was the Google of its day. Founded in 1880, it was known for its pioneering technology and innovative marketing. ‘You press the button, we do the rest,’ was its slogan in 1888. By 1976 Kodak accounted for 90% of film and 85% of camera sales in America. Until the 1990s it was regularly rated one of the world’s five most valuable brands. Then came digital photography to replace film, and smartphones to replace cameras. While Kodak suffered, its long-time rival Fujifilm was doing rather well. How Fujifilm succeeded serves as a warning to [other] firms about the danger of trying to take the easy way out: competing through one’s marketing rather than taking the harder route of developing new products and new businesses.” The big question was which path would ARRI follow in the face of disruptive digital technology? The Arriflex 435 camera came out in 1994 as a 35mm MOS and highspeed camera to replace the 35-3. Its dual 3-pin pull-down claws and industry-standard dual registration pins assured optical printer steadiness. Frame rates up to 150 fps could be combined with in-camera speed ramps by means of a motorized mirror shutter, and the iris could be coupled to a lens control unit. TV commercials immediately embraced the technology of speed-iris-mirror shutter control as agency creatives, directors and DPs unleashed waves of beautiful sequences exploring time and motion. For example, a beautiful model run across frame at normal speed, leap into the air as the camera ramps up to 150 fps to slow her billowing dress and flowing hair down by a factor of 6, and then have her race out of frame at 6 fps transferred at 6 fps for a streaky, blurred look. Post production ensured that filming entire scenes at 150 fps, while expensive, would offer great flexibility in playing with the look. By the early 1990s, there appeared to be a race among the lens manufacturers. Whenever one company came out with a new focal length, another would catch up and then add another size. It got to the point where there seemed to be a lens for most even numbers between 18 and 35. Why not combine the speed and quality of primes with the versatility of a variable focal length lens? Don’t call it a zoom, because it would be focus closer and be indistinguishable in look from a prime. In 1994, ARRI and ZEISS collaborated on a new kind of lens system: Variable Primes. Three lenses in the set could replace every conceivable fixed prime lens from 16 to 105 mm: 16-30mm (VP1), 29-60mm (VP 2) and 55-105mm (VP3), all with a constant maximum, non-ramping aperture of T2.2. It was a complex design, with traveling aspherical compound elements and cam driven diaphragms that moved with the changing ray positions. Time-consuming lens changes were eliminated, making producers and actors happy. Technique followed the new technology and a gracefully fluid style of dramatic feature production could be achieved by gently adjusting frame size if actors didn’t hit their marks or a microphone boom began to creep into frame. You could go a little tighter or looser while filming, in the middle of a shot, without having to move dolly tracks or change lenses, with the quality of a prime. Zooms were arguably not as sharp at the time, and a bit slower: the Angénieux 25-250 HP was around T4 and Cooke’s Cine Varotal 25-250 Mark II was T3.9. Variable Primes had high contrast, were very sharp, with minimal distortion or shading. To see the style of filmmaking engendered by Variable Primes, take a look at Shakespeare in Love (1998), directed by Richard Madden and gorgeously shot by Richard Greatrex with a 535B and Variable Primes. The Digital Age of Film at ARRI really began in 1995 with the start of design work on the Arrilaser. The product was launched in 1998. Arrilaser printed digital image files to film. Imagine a laser printer, but instead of paper, the printing is done on motion picture film. Originally intended for Visual Effects sequences, Arrilaser went on to become an industry standard for printing Digital Intermediates onto film and for archival black-and-white separation masters. With Panavision’s T1.9 spherical Primo lenses leading the high end for a decade, Cinematographers and rental houses in the ARRI camera world were clamoring for competitive PL-mount primes. In the same year, 1998, ARRI and ZEISS brought out a set of UltraPrime T2.0 primes while Cooke launched their set of S4 T2.0 primes. There are now 16 focal lengths in the Ultra Prime series. The widest is an Ultra Prime 8R—8 mm T2.8 – T 22 rectilinear, wide-angle lens with very little geometric distortion. In June 1999, George Lucas decided on digital capture for Star Wars: Episode II (released 2002). A Sony HDW-F900 was Panavised and called Panavision HD-900F. Sony ran an unfortunate marketing campaign heralding that video would replace film within a couple of years. Hollywood didn’t agree, noting that the camera’s 2/3-inch sensors had much less exposure latitude than film and really looked like “video.” Much was written and debated about film look—dynamic range, color, contrast, shadow detail, highlights, steadiness, frame rate, processing and printing variables—things that set the stage for what was about to come. Meanwhile, Fritz Gabriel Bauer had been working as a filmmaker in Austria, producing commercials, directing, and getting so involved with equipment that he founded his own company, Moviecam, to build cameras the way he liked them. Gabriel famously said, “A motion picture camera is a box. It has a hole in the front for a lens, and it has some kind of sensitive material inside to gather the image. Over the course of the last hundred years, we just made it a little more complicated. A motion picture camera is the physical extension of a creative person. To realize your vision, you need a camera that is light and versatile. You don’t need any obstacle between you and the silver screen.” ARRI acquired the Moviecam company in the 1990s and announced their new Arricam ST and LT cameras in 2000. It combined technologies of both systems and was ARRI’s first 35mm silent camera with displacement magazines instead of the coaxial design on 35BL and 535 cameras. It was to be the last 35mm silent studio film camera that ARRI would design—although Arricams successfully work to this day. The new Arricam cameras came with another new capability: LDS—a Lens Data System that displayed focus, iris, zoom, serial number and other information about the ARRI/ZEISS lens that was working in its mount. So, in the same year that Arricams were unveiled, ARRI and ZEISS began to supply Ultra Prime lenses fitted with LDS. The Lens Data System had several benefits. It let you see lens status on a video assist monitor or a dedicated Lens Data Display. It was especially helpful when the camera was operated on a remote head high above the action on a crane. Focus, iris, zoom, depth of field, lens serial number and other information could be displayed directly on monitors anywhere on set. A script supervisor could see all pertinent details without bringing production to a screeching halt in the roll call of “Roll camera, speed, and…what’s your millimeter?” Camera assistants were relieved of screaming the answer across the set and spared the actors’ daggered looks. They also gained valuable real-time read-out of lens depth of field without having to consult charts or calculators. The Lens Data System also provided continuous real-time lens information to the camera in real time, accurate to each frame. This data could be used to automate in-camera effects like speed/iris ramps or shutter/iris ramps without having enter numbers manually. LDS worked with precise, magnetic encoders inside the lens barrels that provided data to the camera via gold-plated contacts in the PL mount. The data was decoded in the camera, and could also be recorded. This metadata was also helpful for special effects work, match-moving, and CGI compositing. There was one hiccup. LDS was a proprietary ARRI system and required circuitry in the camera to decode the data. Some companies were not thrilled about paying licensing fees. In Jan 2004, after several years of including LDS in S4 lenses, Cooke Optics introduced their open-source /i lens data system. What was about to come next came quickly. The combined influences of art, technique and technology, Moore’s Law and manufacturing and marketing resulted in an acceleration of product introductions that would completely change the way movies were made. It was as if an industry accustomed to a new camera or lens perhaps once a decade was now entering warp speed, or perhaps a more familiar camera analogy, a speed ramp. April 2001. Franz Kraus raced into the central hall of the NAB exhibition in Las Vegas waving a brand new Canon IXY Digital 2.11-megapixel CCD compact still camera that he had just purchased at a nearby big-box store. “This is the future of our industry,” he proclaimed. People looked at him with the kind of disbelief one might greet a prediction of the end of the world. Someone asked, “How long?” He answered, “2010.” Of course, he was right. Working models of ARRI Alexa were introduced in 2010. But we’re getting ahead of the story. Arriflex 235 (2003) was the last 35mm film camera ARRI would build and was considered by many the most elegantly styled camera of all time with its dolphin shaped magazine and graceful ergonomic shape. It was designed for 35mm MOS for handheld, Steadicam, rigs and underwater. Arriscan came out the following year, sharing similar technology and the same sensor as the D-20 camera. Its 35mm CMOS sensor could scan motion picture film up to 6K resolution. Films could be shot on film, digitized in real-time to data files, edited, graded, assembled and then printed back out to film with an Arrilaser. The invention of the Arriscan led to faster conversion of film images to data files. Faster speeds led to lower costs of digitizing. The result was a creative revolution in the digital age of feature films that was previously restricted to the domain of high end commercials because of cost. Now, entire features could be affordably scanned as Digital Intermediates, with highly talented, rock-star colorists working with cinematographers on grading, power windows, secondary color correction, filter effects, smoothing selected areas, and so on. Panavision’s next digital camera, developed in 2004 with Sony, was named Genesis. It had a Panavision PV mount and a Super 35mm 1920×1080 CCD sensor with a 16:9 aspect ratio. ARRI and ZEISS kept developing newer lenses that raised the bar in sharpness, resolution, contrast and performance. At NAB 2005, eleven ARRI/ZEISS T1.3 Master Prime lenses were introduced. T-shirts proclaimed, “Breathless!” and they truly were. When you racked focus, the image did not “breathe;” the image did not appear to zoom or change size as you quickly focused from near to far. To achieve this, Master Prime lenses used dual floating elements to compensate, almost like a reverse zoom lens. They and improved on the Ultra Prime helical focus barrels with cam mechanisms that maintained constant torque at almost any temperature. The focus ring had both metric and footage scales on one ring that could easily be swapped by rental houses. Master Primes delivered outstanding images accompanied by LDS metadata. They were sharper, had higher contrast, higher resolution, improved anti-reflection coatings, reduced flare and less distortion. Internal baffles prevented random spill. Today, there are 16 Master Primes in the set. Opening up to T1.3 gave cinematographers a very narrow depth of field: sharp subjects that could be isolated against pleasingly soft backgrounds. Previous generation lenses like ZEISS Standards and Super Speeds were optimized for a particular focus distance, usually infinity. When focusing close, the lens performance often dropped off, mainly because of image area curvature and aperture aberrations. Because of this, most lens manufacturers limited the minimum close-up setting of their lenses to avoid users from moving too far into this area of lesser performance. We all remember “pulling the pins” of lenses for close-focus table-top product shots, and “breathlessly” waiting to see dailies the next day for confirmation that it really wasn’t all that horribly soft. What did all this mean for the cinematographer? If the script said “Rack focus from ECU of scorpion in foreground to pirate ship on horizon,” or “Car heads straight for camera, headlights blazing against darkened city,” you’d be able to create beautiful images, save time and money with simpler lighting, and discover new looks not seen before the advent of Master Prime lenses. It’s interesting that sales of Master Primes were always strong, but 2017 has been the best year ever. Isn’t this supposed to be the time when every cinematographer is seeking a unique and often less-than-perfect look? The Master Prime designers always preferred the advantages of distressing flawless images with filters, nets and things like plexi rods in front of the lens because than trying to get an imperfect, low contrast, softer picture to look pristine again. Who were these designers? ARRI and ZEISS worked together on co-branded lenses since the 1950s. ARRI product managers, engineers and sales staff provided the overall specifications based on market observations and input from cinematographers and rental houses. Speed, size, focal length and application concepts came from ARRI, along with funding for R&D, marketing and commitment to quantities. Essentially, ARRI assumed the risk in return for exclusive distribution rights. ZEISS provided the optical and mechanical expertise in design and manufacturing. NAB. April 2006. Disruption. Disruptive technology. Inside a red tent at NAB, a new company named RED Digital Cinema got the attention of the entire industry. The RED paradigm was a high-end digital SLR still camera that could record images at 24 fps. While others were pursuing uncompressed data on expensive solid state magazines, RED delivered a manageable, wavelet compressed 4K image using small, on-board, off-the-shelf hard drives. Oh, and you could place a $1,000 deposit for the RED One Camera, applicable to its delivery cost of $17,500. To the delight of DPs, and to the absolute horror of establishment companies, RED not only delivered a year later, but presented impressive footage shot by Peter Jackson of a WW1 epic short subject. It took RED a mere 15 months from concept to delivery. This was unheard of. Inside a glass display case at the same NAB convention in 2006, Sony presented their prototype F23 CineAlta. It had a B4 mount and about 1 stop more dynamic range than the F900. It weighed about 32 lb. for body, lens, and recorder. There was another product announcement at NAB 2006. ARRI showed the Arriflex 416—the next (and last) generation Super 16mm camera. It combined the technology of ARRICAM with the styling of a 235, in a size reminiscent of the 16SR. Someone quipped, “The analog 416 has an image area slightly larger than a ⅔-inch single chip 2K camera, with 12 minutes of uncompressed archival quality storage per magazine, each film frame capable of storing about 65 Megabytes of data, and one roll holding the equivalent of about 1.123 Gigabytes.” It was ARRI’s last analog camera. Digital cameras were advancing faster than predicted. NAB 2008. Eighteen short months after the F23 shipped in December 2006, Sony showed the new Cinealta F35 camera system. Rental houses howled—many F23 cameras were not even paid off, and now rendered almost obsolete by the F35 which had a PL mount, a single 35mm CCD image sensor, and 10-bit, 4:4:4 recording. This was a stern lesson for all manufacturers: the consumer electronics paradigm of rapid replacement and planned obsolescence would not be appreciated. Three years after the D-20 came out, ARRI redesigned and redesignated the camera as D-21. Still straddling the terms experimental and production-ready, it was intended for TV production so as not to interfere with sales of film cameras. Like the D-20, it was a bit cumbersome, a rental item only, later reluctantly for sale, but the images were very good. By 2008, there were 56 D-21 cameras at 13 rental houses worldwide. IBC, Amsterdam, September 10, 2009 was a pivotal moment. Some have said that ARRI bet the company on their new digital cine camera. Sales of motion picture cameras were slowing, RED and Sony were gaining market share, and the lessons of Kodak still hung heavy. The ARRI booth was very quiet, very tense in the minutes before IBC opened. Would anyone show up? Would they notice the three prototype ARRI digital camera “sisters” that were presented as wooden models, code-named Alexa EV, Alexa EV-Plus, and Alexa OV-Plus? They were called by their code-name: “Alexa.” The doors to IBC Hall 11 opened at 10am. Five minutes later, the ARRI team was smiling. Throngs of DPs and rental houses were swarming the booth, placing orders. By the end of the show the name “Alexa” had caught on, and it seemed difficult to imagine calling these cameras anything else when they went into production starting mid 2010. The three new cameras seemed to satisfy the mantras of contemporary production: lighter, smaller, faster, cheaper. They were compact, lightweight, affordable and intended for every level of the television and feature film food chain. Prices were announced somewhere below € 50,000. This was astonishing in itself, considering that an ARRICAM fully outfitted could cost up to 10 times that amount. The two entry level models (EV and EV-Plus) had a new ARRI electronic viewfinder and a 16:9 image area. The bigger-budget production camera (OV-Plus) had an optical viewfinder and spinning mirror, and continued ARRI’s legacy of offering a 4:3 image area. All three cameras had frame rates of 1-60 fps. No matter. What really mattered was that cinematographers, directors and audiences liked the way the image looks. They found it pleasing. It matched their expectations during the transition from film to digital. It was comfortable. The controls were familiar. They felt at home. Franz Kraus, with years of experience at ARRI post production facilities working in color science and image aesthetics, had conducted extensive research on how images would need to look, and what image processing would have to be done to have film-like images coming out of digital capture. Dr. Achim Oehler, who was head of the Arriscan project, managed the Alexa team with the same image processing group that designed the Arriscan, D-20 and D-21 cameras. Walter Trauninger, who had supervised the manufacturing of most ARRI cameras over the past decade, was in charge of production. In the transition from analog technology to digital, the ARRI team had experience with film and digital cameras—the user interface, wireless control, micro controllers, CMOS sensors, FPGA-based image processing. “We had done these things before and benefitted from the 235 and 416 designs. Why should digital capture have a totally different user interface? Shooting takes place not for technical reasons but for creative ones,” Franz Kraus added. Dr. Achim Oehler had joined ARRI in September 1999, working on the Arrilaser film recorder, Arriscan film scanner, software group leader, D-20, D-21, ALEXA, and ALEXA 65. He said, “The Arrilaser film recorder and the Arriscan film scanner bridged the gap between the analog and digital world. We came up with a 6K film scanner and the images were really stunning in resolution and also dynamic range. In addition, we implemented 14+ stops of latitude. You can see our motivation always has been to deliver the most impressive images. Our experience in image science, sensor technology, software development, manufacturing and service has moved nicely from the Arriscan to other projects like the ALEXA camera. The first working Alexa prototypes were hand-carried to the AFC Paris Micro Salon in February 2010. It had the vestigial hinged side door of a traditional film camera, like the Arriflex 235. DPs would have to wait until April to learn what would go inside. The big news at Alexa’s Los Angeles and Las Vegas debut in April 2010 was behind the gray camera body door. A transparent window hinted at the fact that this was not a light-tight chamber for analog silver exposure. There wasn’t a cinematographer or camera assistant in the room who could restrain film-threading muscle memory from opening the gray door. Instead of a geared film camera movement, there were slots for two SxS PRO Memory cards. The missing link that made almost everyone immediately comfortable was the Shoot>Edit paradigm, a simple link from camera to edit using familiar ProRes files that loaded directly into Final Cut Pro or Avid Media Composer without the need for transcoding or log-and-transfer. Furthermore, there was uncompressed ARRIRAW. ARRI Alexa was a success at NAB with the promise of doing for digital filmmaking what previous generations of Arriflex analog cameras had done before, with an ergonomic shape, a beautiful image, and intuitive operation that ranged from simple “push the start button” to advanced menu choices. When the original ALEXA 35mm digital camera was presented to the filmmaking community, it was positioned “for HD television, commercials and a few features and uncompromised and uncompressed 4K resolution will remain in the domain of 35mm film for some time to come.” That humble camera for “a few features” went on to become one of the most successful digital cine cameras of all time, capturing 80% of major motion picture productions by 2017. At the same NAB show in 2010, Aaton pulled a digital cat out of the hat. Cinematographers who had waited thirteen years for Aaton Penelope analog 35mm cameras were rewarded for their patience with the debut of a digital version: a working prototype Penelope-∆ (Delta). The same camera body could accommodate both traditional Penelope 400’ film magazines and a new digital magazine. It was a good design. Jean-Pierre Beauviala and his crew at Aaton did what Dalsa never managed to do: package a 4K+ CCD sensor camera into a cat-on-shoulder handholdable camera, with simple on-board storage. There is a sad ending to this chapter. Penelope’s sensors came from Dalsa but could not be reliably delivered. Aaton went bankrupt, and Aaton’s long history of camera manufacturing ended. The good news is that Transvideo acquired the company. Their focus is now on audio recorders and monitors. As mentioned earlier, betting a company on a product does not always guarantee success. The digital age of lighting arrived at ARRI in 2009. ARRI PAX (as in Pack Shots) units were LED lighting fixtures that looked like miniature Mini Brutes about the size of a box of 6 macaron pastries, with dial-in colors from 2,000° to 20,000°K and the choice of 300 unique colors that could be summoned up using traditional gel color names. You wanted a ½ CTB? No need to find the roll and slice off a sheet—with PAX, you could dial it in digitally. ARRI would develop this LED digital lighting technology over the coming years. At IBC 2010 in Amsterdam, ARRI presented prototypes of a new focusable LED Fresnel lighting fixture. They promised cool-to-the-touch and energy-efficient advantages of LED illumination with the spot-flood control and lifelike color rendition of traditional Fresnel fixtures. ARRI L7 (L for LED and 7 for 7” Fresnel) arrived in April 2011. They came in Tungsten, Daylight and Color Controllable versions. It was like an electric swatchbook. ARRI L5 and L10 fixtures followed. The James Bond film Skyfall (2012), shot with two prototype Alexa Studio cameras by Roger Deakins, ASC, BSC, grossed $1.1 worldwide. ARRI Lighting’s blockbuster fixture premiered in April 2015 with an equally auspicious name: SkyPanels. They were a new line of ARRI LED soft lights, brighter than a 2 kW tungsten soft light or a 6 kW tungsten space light. About the size of a 2K zip light that was cool to the touch, SkyPanels could plug into the wall and produce a flattering wrap-around light that actors and cinematographers loved. Gaffers loved them as well. In addition to pretty portrait lighting, SkyPanels nicely replaced space lights. Because the light quality was soft and the fixture was thin, there was little need for traditional space light silk skirts hanging down. The fact that you could remotely control color and intensity from a console meant that crews didn’t have to change gels and hours of production time could be saved. Like the L-Series of ARRI LED Fresnels, SkyPanel C (Color) versions were fully tuneable, adjustable from 2,800 K to 10,000 K, with Plus and Minus Green correction, vivid color selection (party colors) and saturation adjustment. Like cameras and computers, lighting fixtures now get firmware updates. Most recently, users could download a free update to add lighting effects to SkyPanels. Twelve lighting effects could be dialed in directly at the light, including: candle light, clouds passing, cop car, fire, fireworks, strobe, lightning, paparazzi, and television. Bobby Arnold was the “face” of ARRI for many years. Most filmmakers who entered the main gate at 89 Tuerkenstrasse became friends with him and evenings rarely went by where he wasn’t entertaining them at one of the many Munich restaurants at which he had permanent reservations. There was another big announcement in the final months of 2012: ARRI/ZEISS Master Anamorphic lenses. Because of ARRI ALEXA’s motion picture industry-standard 4:3 sensor and full 18mm image height (which other camera’s did not have), the look, feel, myth and reality of the legendary anamorphic look had been enticing DP since the camera’s introduction. But these lenses were more than three years in the making because projected numbers of potential customers were deemed puny while the estimated costs were prohibitive, even for the most powerful potentates of the world’s rental kingdoms. The new ARRI/ZEISS Master Anamorphic Prime Lenses were a combined effort of the long-time design, technical and marketing partnership between Munich and Oberkochen. The first Master Anamorphic 35, 50 and 75 mm lenses arrived in April 2013. Today, the set consists of nine: 28, 35, 40, 50, 60, 75, 100, 135—all T1.9—and 180mm T2.8. The designer, Dr. Aurelian Dodoc described the look: “Master Anamorphics have a smoothness that you don’t find in other prime lenses. We usually can tell we’re watching an anamorphic movie by these elliptical highlights. But what’s very important with an anamorphic lens is not so much the bokeh at nighttime, but the out-of-focus shapes in daylight. How are the image elements, which are not in focus, represented on screen? I think this has a very strong artistic meaning. We have searched for something universally beautiful and I think we have found it. ARRI Rental launched ALEXA 65 at Cinec in September 2014. Within the next 25 months, ALEXA 65 worked on more 65mm productions than had been shot in the previous 25 years. “It’s a sobering thought when you consider that, during the concept phase of the ALEXA 65 system, we assumed that the camera would be used mainly for special sequences and VFX work,” said Neil Fanthom, Director of Technology at ARRI Rental. The first production shot entirely with ALEXA 65 was The Great Wall in Spring 2015. Cinematographer Stuart Dryburgh ASC, NZCS used four ALEXA 65 cameras. What’s the appeal of the 65mm format? Alexa Mini took off in April 2015, a year after Emmanuel Lubezki, ASC, AMC gracefully glided an Alexa M camera through Birdman (or the Unexpected Virtue of Ignorance) (2014). Lubezki said, “When we started rehearsing the movie we hadn’t defined the style of shooting. Then, based on the blocking, the rehearsals and what we felt the movie needed, we shot it half handheld and about half with Steadicam. Handheld cameras, especially smaller ones like the ARRI Alexa M, allow you to get really, really close to the actors. You can move within their space and between them. It allows you to get into the eye of the hurricane, as we say. I find that handheld has a more organic feel and way of moving that is less mechanical and you can go from very low mode to high mode very quickly. “The shot almost determined how it would be done. The movie, the blocking, the spaces informed us very quickly as to the best way to do it. I think the new cameras’ physicality, weight, size, and quality are going to change the way people make movies. Joerg Pohlman joined ARRI in 2014 as Managing Director. He commented on the company’s centennial: “If we think about the 100 years of ARRI, look at where we are and where we want to be in the future, one of the key factors is how unique a company it is. We are involved in almost all aspects of the motion picture industry, from developing cameras, lighting and accessories, to product manufacturing, including sensor bonding. Our ARRI Rental Group gives us proximity to film sets, and provides immediate feedback if something does not work or can be improved. When you finish shooting, you can come back to ARRI for post-production, editing, sound, VFX, mixing, screening, DI and distribution. ARRI can provide the entire process from developing a camera all the way to releasing feature films into theaters. I think that makes ARRI unique. Dr. Walter Stahl, son in law of Dr. Robert Richter, was General Manager of ARRI from 1972 to 2001. He continues as Chairman of the Board and Owner. Dr. Stahl said, “The artistic accomplishment in the film industry is sometimes fantastic. The stars in the movie industry are actors, cameramen, directors, producers—but not product manufacturers. When you become aware of what stunning images a camera can produce, but that others are the ones with the artistic accomplishments, you surely become modest. “I divide ARRI’s technical history in three parts. The first years were when Arnold and Richter were youths, and developed the first devices themselves, and, above all, shot films. They were cameramen. The fact that they could improve the devices themselves was thanks to their being confronted with faults and errors during their work. And that was until Erich Kaestner appeared on the scene. “That was the second part. Erich Kaestner originally came from Eastern Germany and his father was an engineer working for Zeiss. Erich Kaestner came to Munich to work for Arnold and Richter starting in 1931/1932. Before then, things were more or less assembled without any real plan. With Kaestner, everything started to be designed, as one would say today. In other words, everything was drawn on paper, following certain criteria and manufacturing was now consistent. Mr. Kaestner worked at ARRI for a very long time, until he was in his 80s. Christoph Stahl reflected on ARRI’s 100 years, “When we consider how ARRI has been able to continue for 100 years when only a handful of other companies managed to do this. I think that there were a few factors at work. ARRI has always been a company that was focused on the user experience, trying to build products that would be preferred tools for people telling stories with motion pictures. ARRI creates value for its users, partners and the motion picture society, rather than extract it. Our attitude is partnership. Companies with mainly financial interests focus on value extraction. In order for employees to participate in this joyful process, we always tried to maintain a small company structure, with responsibility and decision-making put as close to users as possible. The freedom needed for this kind of corporate culture is only possible without too many financial constraints. We return profits back to the company and keep ARRI small and within our circle of competence. Christoph’s brother Florian Stahl added, “I believe the main advantage is that we are not driven by the wrong incentives, mainly by financial situations or profit. We can afford to let ARRI develop the right products, go in the right direction, keep the right relations, the right reputation with the customers, and if all that is done right then it will make good profits. Very often in publicly owned companies you first have to meet all your yearly figures and satisfy the markets, and then hopefully do things right with the product and the customers. But I believe that we can, as a family owned company, focus more on the important directions first and have the financial success as a result of it. The cinema has been reinvented over and over again. For a hundred years, the efforts of a singular company, ARRI, created the tools and technology that enabled filmmakers find new ways and new techniques to tell their stories with moving images. The birth of cinematography was influenced in its immediate, almost documentary style by the Impressionists: Monet, Manet, Morisot, Pissarro, Cassat, Renoir. That wild child of cinema matured, changed, just as movements in art progressed, transformed by Bitzer, Toland, Coutard, di Venanzo, Young, Wexler, Hall, Fraker, Kovacs, Zsigmond…and hundreds more. Styles evolved, techniques changed, reacting and in reaction to the whirlwind dialectic of art and tools that brought cinematographers, some skeptical, others thrilled as an audience on opening night, along a century’s trajectory from studios to locations, from silent to sound, from analog to digital. The pace quickened as development cycles shortened, new products appeared more frequently, traditional impediments to entry dissolved, and the look of motion pictures consequently evolved. ARRI’s centennial is a commemoration of artists and artisans, movies and manufacturing, style and substance. Above all, it’s a celebration of a company, founded by two friends, that has grown to a team of 1,300, and the thousands of cinematographers, filmmakers, rental houses and production crews who work with the things that ARRI makes. And the adventure continues. ARRI’s centennial celebrates the company and the thousands of cinematographers, filmmakers, rental houses and production crews who work with the things that ARRI provides. If there is one comprehensive explanation for ARRI’s longevity, it is their foresight and acumen in listening to customers, friends and colleagues. A shorter version of the previous history appears in this new book from ARRI. For more ARRI centennial history and a look at the people who used the products they made, get this lavishly illustrated book by ARRI. It is a fascinating hundred-year journey told by cinematographers and the people involved in ARRI’s products. great article, thank you! I like your last comment very much.